Come take the new Toyota Tacoma for a test drive at Kendall Toyota of Fairbanks! Built for dependability and endurance, the Toyota Tacoma is ready for all your off-road adventures with 9.4″ of ground clearance. Available with a 2.7L DOHC 4-cylinder with VVT-i engine or powerful 3.5L V6 DOHC VVT-iW and VVT-I exhaust engine and standard 6-speed automatic transmission, the Toyota Tacoma has the durability you expect and the power you crave. 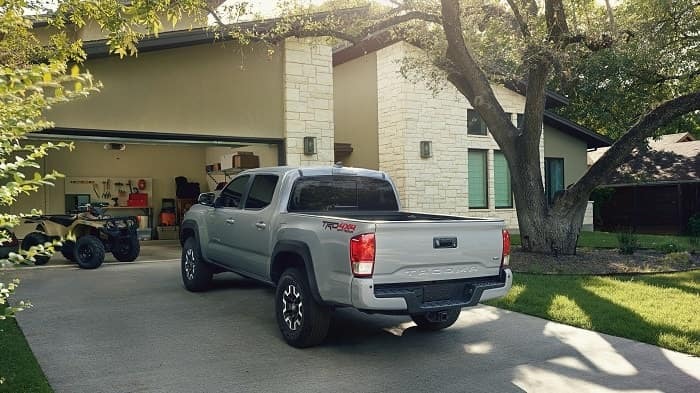 Choose from a variety of trim levels that include the Toyota Tacoma SR, Tacoma SR5, Tacoma TRD Sport, Tacoma TRD Off-Road, Tacoma Limited, and Tacoma TRD Pro. This new Toyota truck in Fairbanks is built for optimal safety and performance with the longevity you’ve come to expect from Toyota. Whether you’re driving through dirt, snow, or on the highway, the new Toyota Tacoma is a compact truck built to turn your weekday day dreams into weekend reality. Begin by browsing our available inventory of new Toyota trucks for the new Toyota Tacoma, then call, chat, text, or contact us online if you have any questions. Our Toyota dealership is conveniently located at 1000 Cadillac Ct Fairbanks, Alaska 99701. We’re just a short drive from Fort Wainwright, Tok, and Delta Junction! Our friendly and experienced team in our Toyota Finance Center is ready to assist you in finding the perfect finance option to meet your budget. We’ll also help you calculate the fair trade-in value you deserve on your current vehicle. So, come shop our selection of the Toyota Tacoma today, then drive home happy in your new Toyota truck in Fairbanks! Don’t let the pavement dictate the path you follow. The new Toyota Tacoma offers available Toyota TRD technology, which takes the off-road capability of your new Toyota truck to the next level. Breathe easier no matter the landscape with the TRD Pro Desert Air Intake, muscle over everything with the TRD Pro skid plate, and glide over rough terrain with the TRD-tuned FOX® Internal Bypass shocks. There’s no trail too tough for the Toyota Tacoma with the TRD Off-Road’s Crawl Control (CRAWL), which automatically modulates the throttle and brakes on five low-speed settings so you can keep your focus on navigating your surroundings. Keep yourself entertained no matter the road you do (or don’t) travel with music controls at your fingertips with the Toyota Tacoma’s available EntuneTM Audio system. Connect and access your smart phone’s apps, traffic, navigation, and weather with a 7” touchscreen. Take the everyday minutia off your mind and go cordless with a Qi-compatible wireless charging station. Drive with confidence knowing you are protected with the standard Star Safety SystemTM. Your mind will be at ease while driving the Toyota Tacoma with Vehicle Stability Control (VSC), Traction Control (TRAC), Anti-lock Brake System (ABS), Electronic Brake-force Distribution (EBD), Brake Assist (BA), and Smart Stop Technology (SST). Toyota wants to make sure you can enjoy your ride while keeping your most important cargo safe, your passengers. Look no further in our selection of new Toyota trucks for a compact truck with the kick and style you crave. The Toyota Tacoma is a smart buy that you’ll love for years to come. 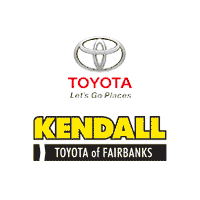 Get ready for the road ahead and come see us at Kendall Toyota of Fairbanks today. Drive home in the perfect truck designed to take you wherever you want to go!